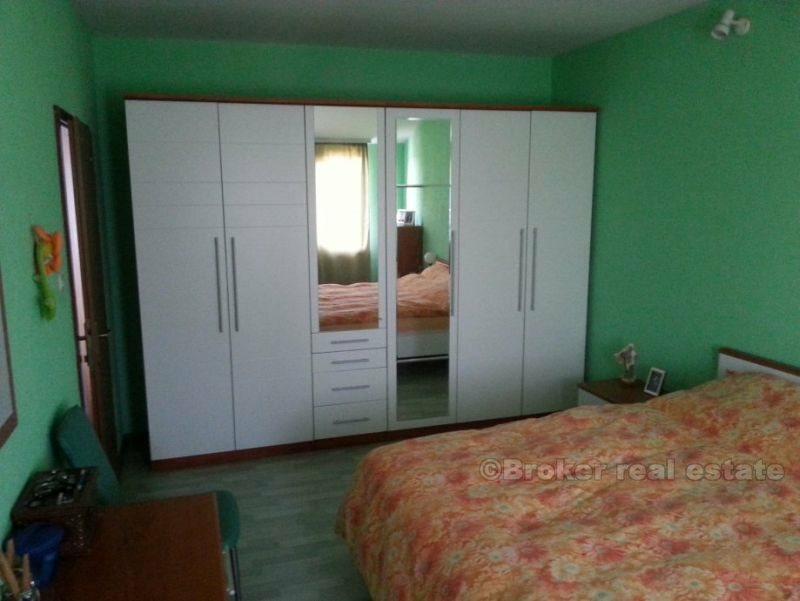 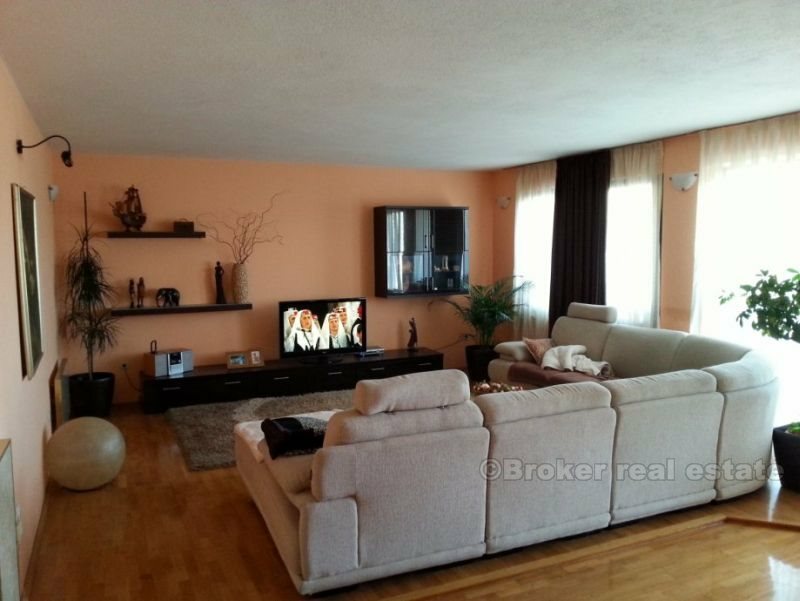 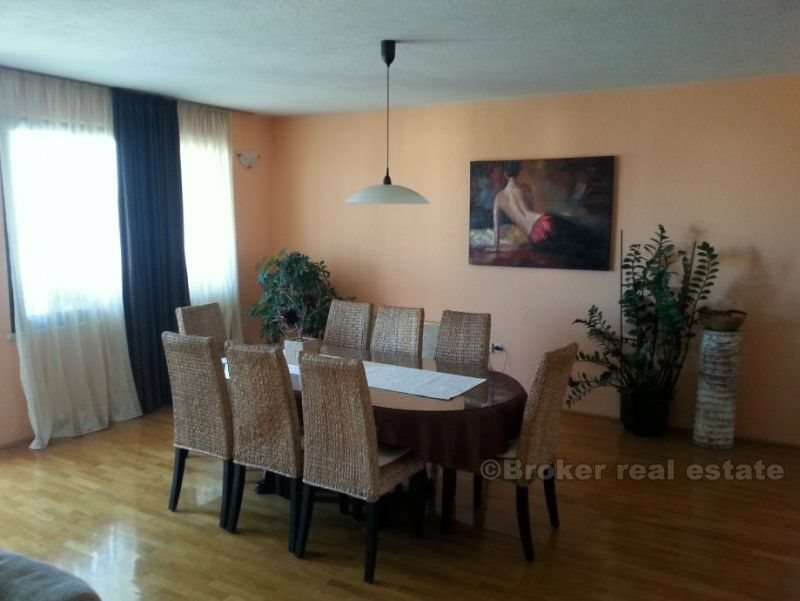 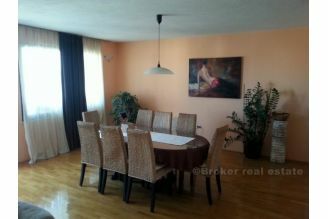 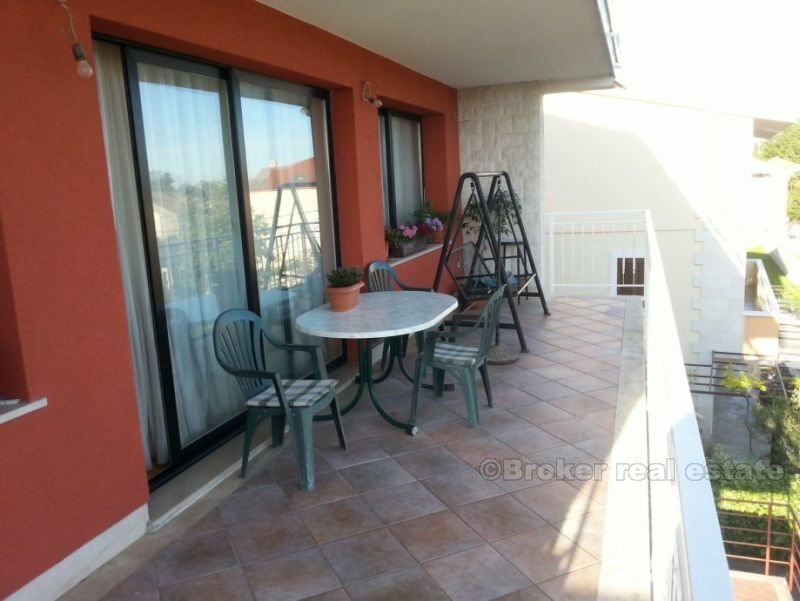 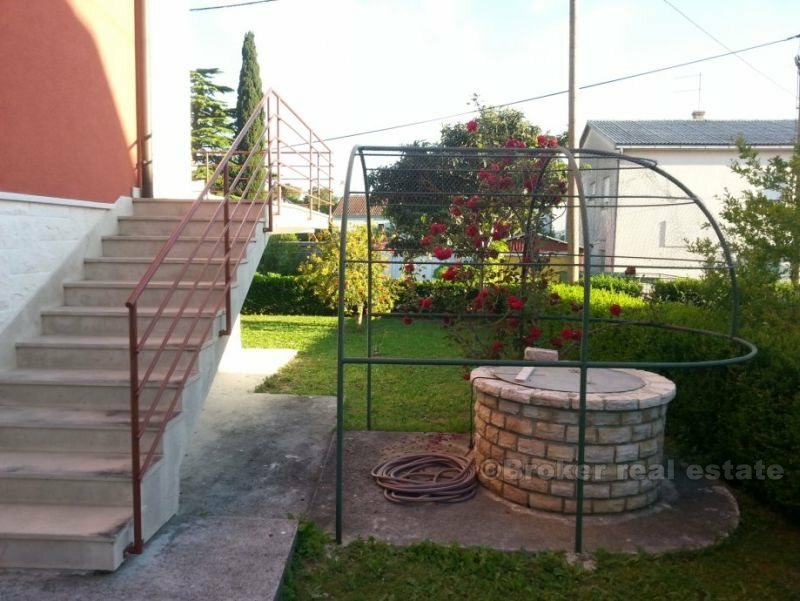 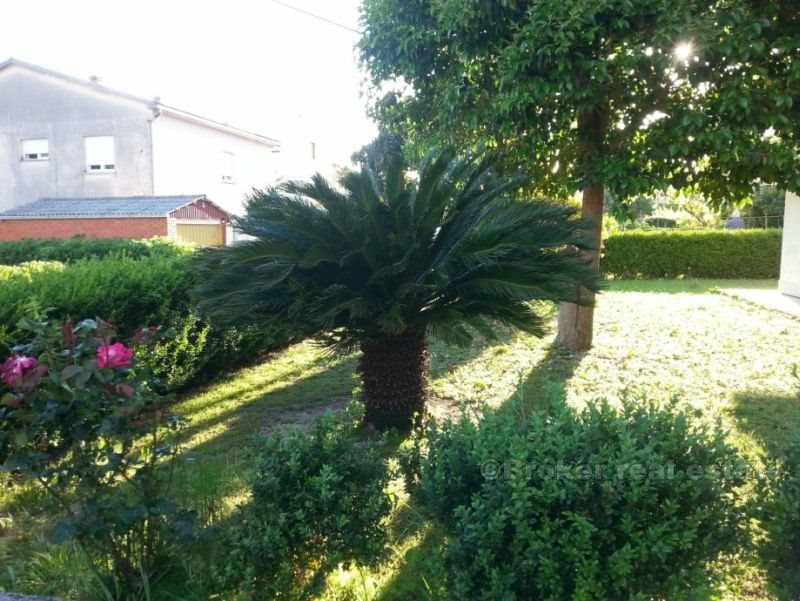 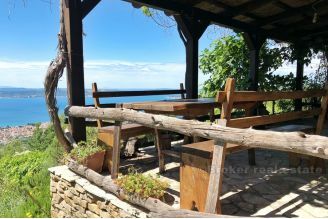 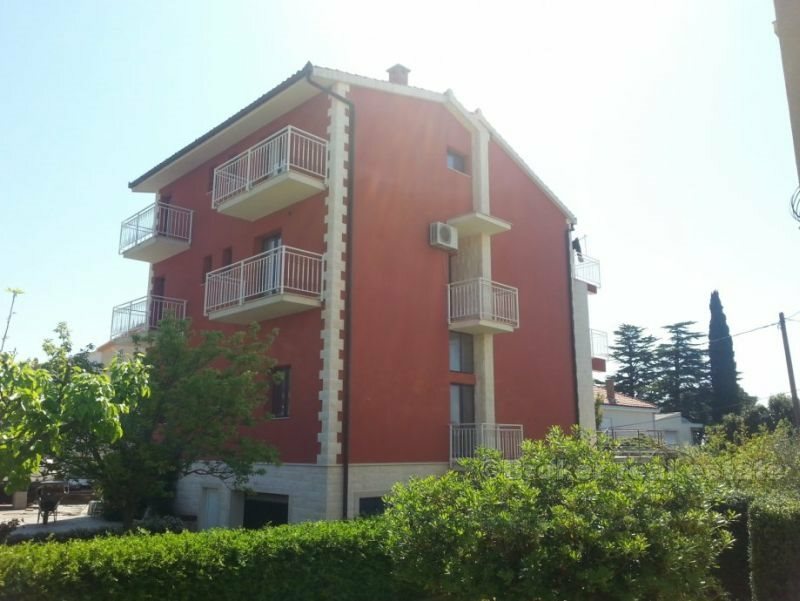 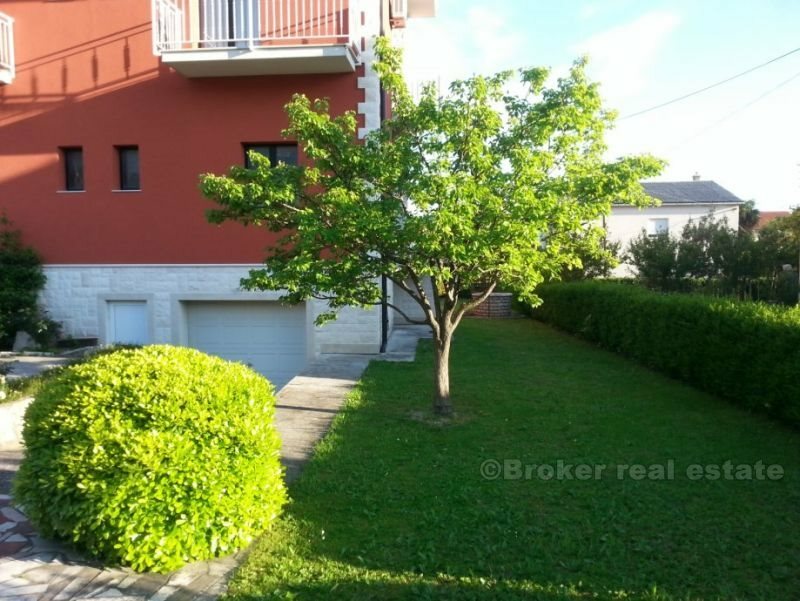 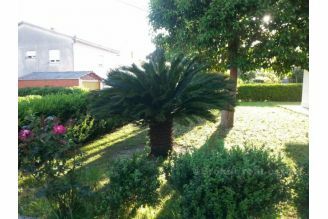 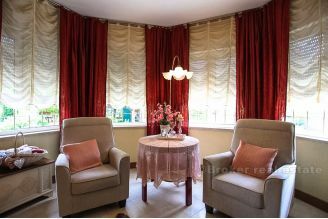 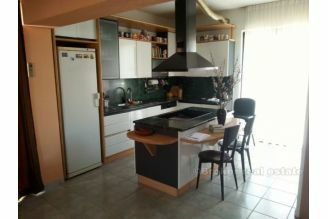 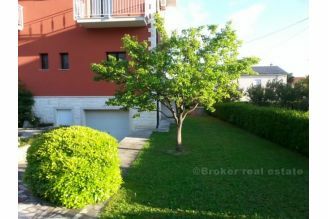 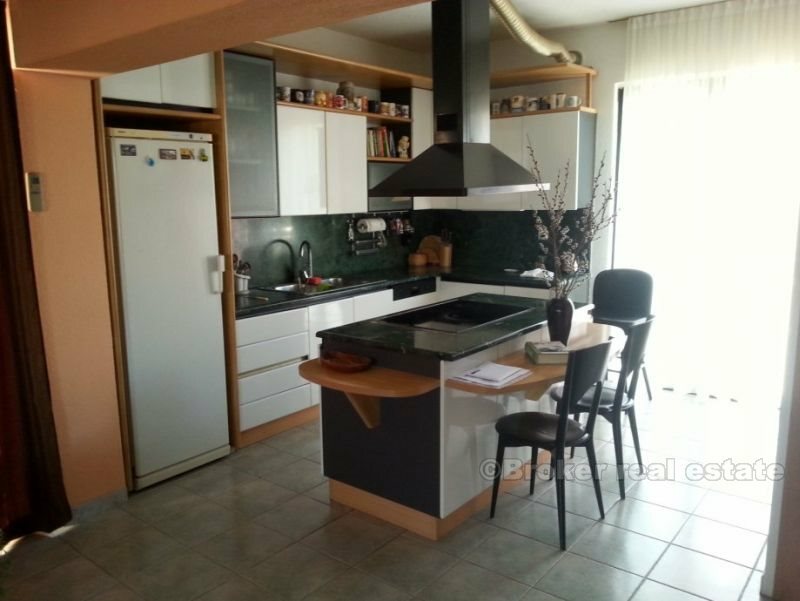 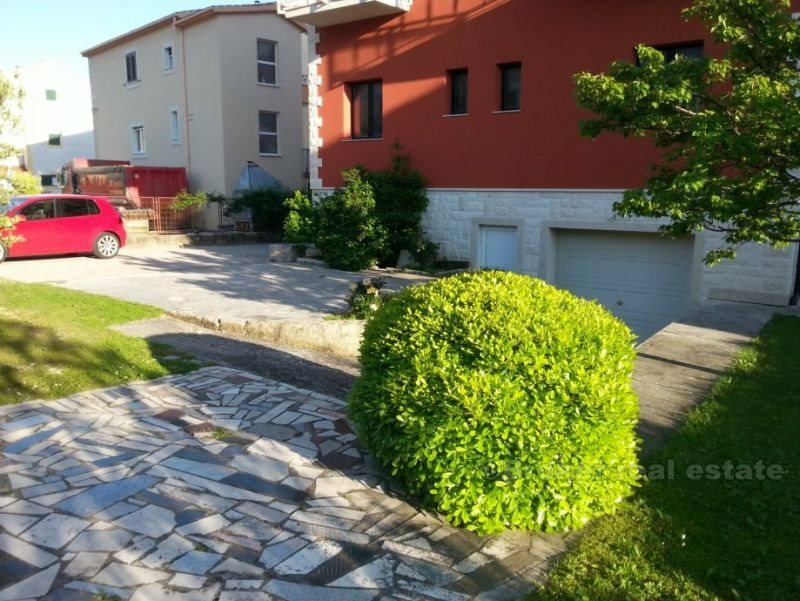 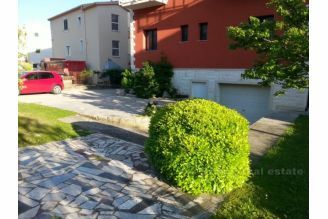 Nicely decorated and very well built family house, area 510 m2 plus 40 m2 terrace and 45 m2 balcony, situated on a plot of 712 m2, with a beautiful view and a nice garden. 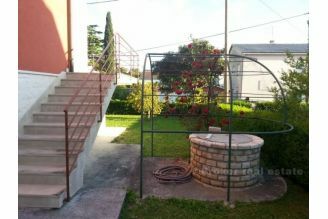 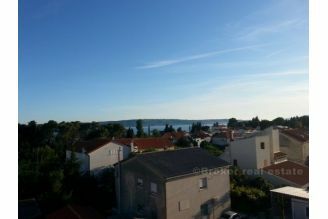 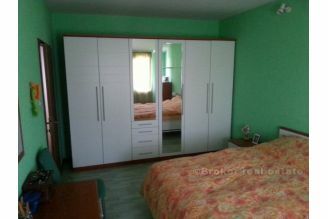 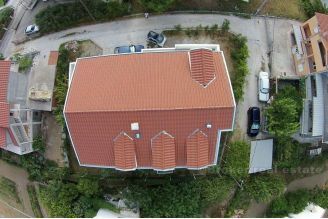 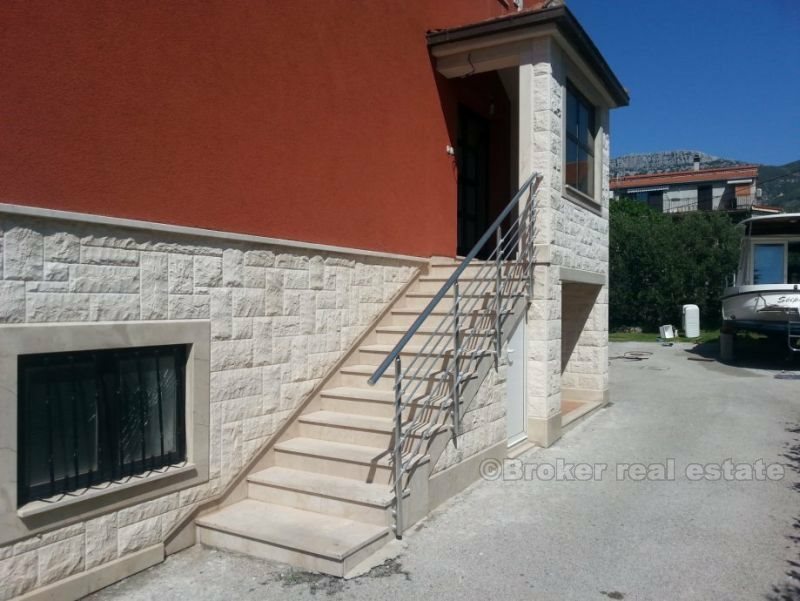 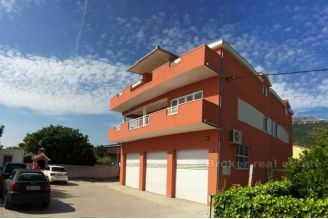 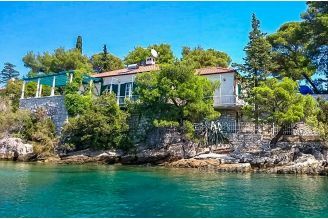 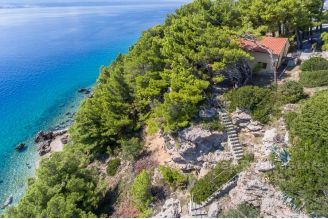 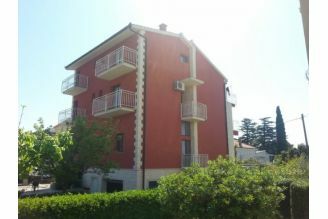 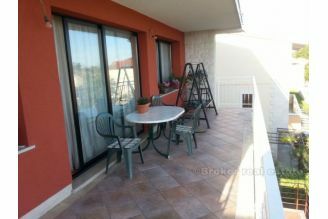 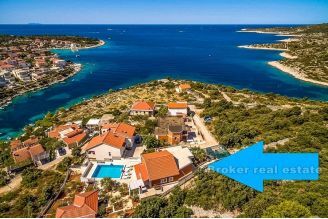 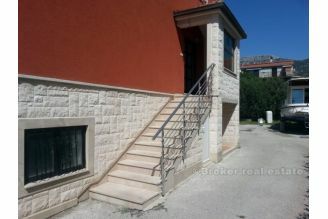 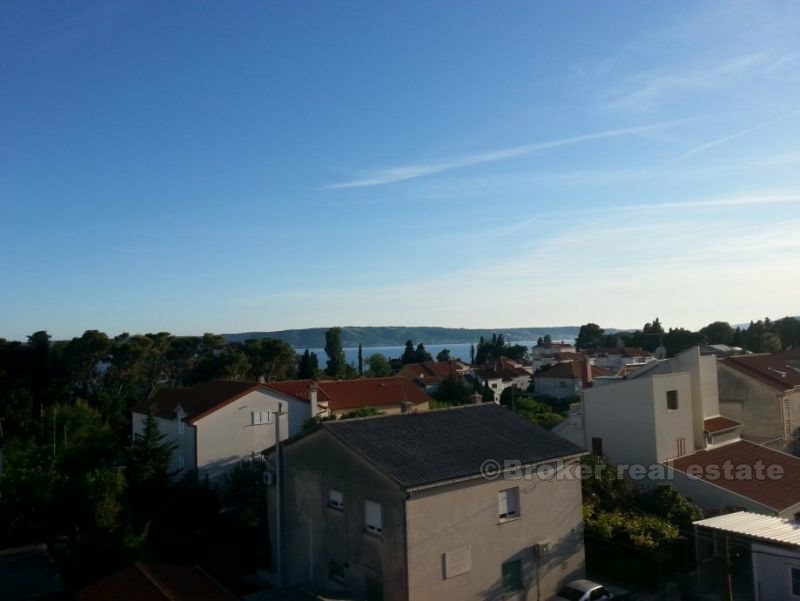 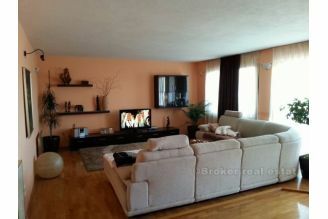 The house is located in Kastela center, 200m from the sea, close to schools, kindergartens, shops, clinic. 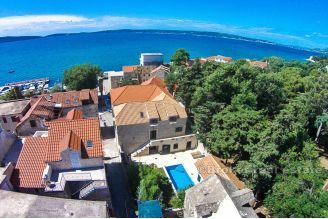 Possible replacement of two smaller apartments or one larger with commercial space in the center of Split.